Our customers have told us that these make a really fun Get Well Gift! Uglydoll Ox Green Ceramic Mug is best festive addition to make your tea or coffee session more stylish and refreshing. It is the recent festive special addition to mugs collection at BirdsEyeMoon, the most talked about online Fun Stuff To Love store. Uglydoll Ox Green Ceramic Mug, designed by the world renowned designer David Horvath, is definitely an anytime perfect buy for trend chaser. The Uglydoll multipurpose mug is made of quality ceramic with comfortable long handle that is convenient for left and right handed both. NEW! Brought to you by customer demand, our ceramic tumblers have been so popular that we have brought you funky new fun colors and tumblers that have a gripper band around them that keep your mug from slipping out of your hands or from getting too hot or too cold! Check one out today, these are all the rage. This ceramic coffee travel mug is a simple yet indispensable ceramic travel mug. It doesn�t have a handle so it fits in most cup holders and has a silicon jacket to keep your hands cool. The silicon gasket lid isn�t completely leak proof but it�s quick and easy to install and protects against unexpected splashes and spills. 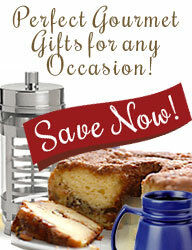 16 ounce ceramic travel mug is dishwasher and microwave safe, including the lid and jacket. Holds a perfect 16 ounces. Polypropylene top is BPH free. The twist in drink through top keeps the heat in and prevents accidents from splash. The black insulator is silicone. This tumbler is microwave and dishwasher safe. Comes in White, Black, Yellow Exterior with Orange Interior or a Green Exterior with a Blue Interior. These hefty 20 oz mugs have beautifully colored butterflies, hearts and flowers, with jewels in the center, on the outside of the mug. This travel mug comes with an open & close lid to prevent splashes and a pad on the bottom for a soft landing. These jeweled ceramic travel mugs are not dishwasher safe and they are not microwaveable either due to the jewels found in the center of the flowers on the outside of the mug. Size: 3 1/2" diameter x 6 1/2". Give, love, laugh! Please note: Jewels are randomly placed in the dimples of these ceramic mugs, so not all of the dimples have jewels.